I arrived at Anzac Cove on Friday 19th April via a night in Istanbul and Dubai. It was a long journey by plane. I couldn’t imagine how long that journey must have been by boat for the New Zealand and Australian soldiers landing in 1915. 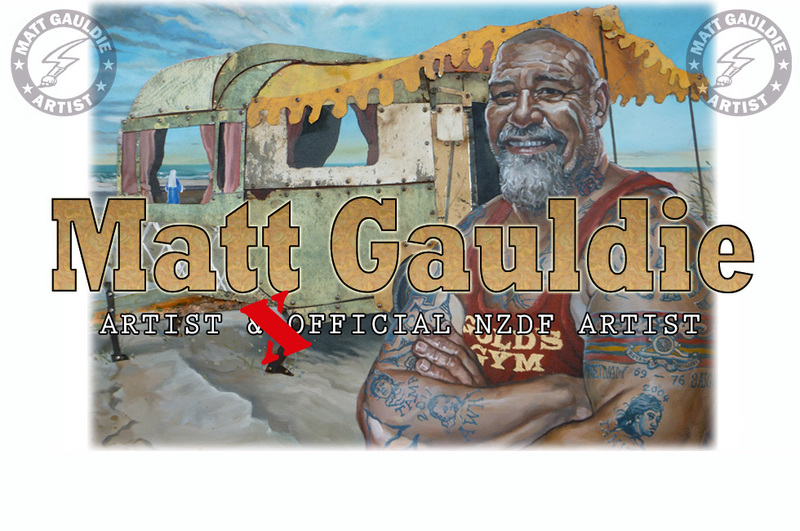 I have made this journey with about a dozen New Zealand Defence Force band and honour guards. We have met up with people from Veterans Affairs and the Australian contingent who are all staying at the hotel in Canakkale. I met up with New Zealand historian Ian McGibbon yesterday as we walked the New Zealand trail, retracing the perilous plight of the NZ regiments as they climbed through a hail of bullets to take the highground of Chunik Bair. I found some of those bullets as we walked. I also found a human rib bone. The entire area where the Anzacs occupied and fought during the campaign is now classified as a giant cemetery. The beautiful Turkish wild flowers, alpine pines and miniature holly bushes, playful birds and turquoise seas lapping against the stony shore still can’t hide the feeling of what this place actually is. I have locked down a couple of themes for the Gallipoli series of paintings I have come to research. As the guard rehearses at the memorial over the coming days before Anzac day, I will walk and talk with Ian and trek through the bushes to find the overgrown trenches so I can set my compositions in the exact area, surveying the ridge lines and Turkish trenches as they would have appeared in 1915. 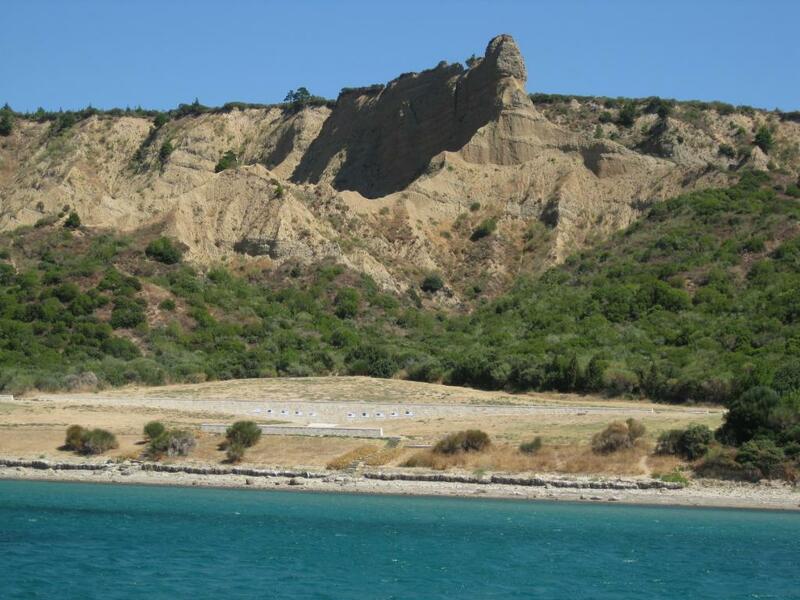 My first impression of Anzac Cove is sadness at the hopeless plight of all the men that landed at such an impassable landscape. It felt familiar, like I’ve been here before. The unstable and eroding rocky cliff faces of the ghostly sphinx feature still watch the shoreline.